Would you like to start your car with your Nokia, Samsung, Blackberry, Iphone or just about any smartphone? Well.. i guess you can, i haven't tried it so i cant say for sure but lots of App developers claim their apps work. 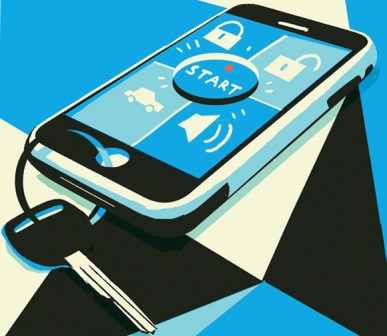 From the good'ole keys, to remote keys, to plastic cards and now smartphones, Apps like Viper, Drone and the likes claim that you can start, stop, lock and unlock the car by the touching your phone screen. Other apps go as far as allowing you open the boot and honking right from the app. Emmm... Good Luck with this.